The best way to begin your clearing out process is to go through your clothes and get rid of any items which are torn, worn out or stained. This will give you a great start, and will allow you to see exactly how much clothing you are working with for the rest of your clear out project. If you want to make some space and see exactly what you are doing, move your seasonal items away from the wardrobe and even store them in a container from https://www.safestore.co.uk/ for a while. Your big winter jackets, coats and jumpers simply aren’t needed right now, and are taking up a lot of space in your wardrobe. Once you have a space with only your spring and summer wear, you can begin to go through everything to see what you really need. We all seem to have this issue where we are unable to get rid of clings that are a little too small for us. We will constantly tell ourselves that once we lose a few pounds we can rock the look, but that never seems to happen for us the way we want it. If you have had clothes for a long while and you haven’t lost that extra weight to fit into them, throw them away. You are simply clogging up space in your wardrobe with items you cannot even wear. Jewellery, bags, scarves and hats are accessories that many of us seem to hoard for no reason. It can be hard to let go of your favourite times when you are clearing out your space, but how many scarves do you realistically need? One of the best things you can do is get rid of any items which are not a neutral colour. You can keep a statement piece in a bold colour or pattern, but in general you are more likely to wear plain pieces. You can find some great accessories on a site such as https://uk.accessorize.com/uk/accessories and you will find some amazing, all purpose accessories to enjoy with your favourite outfits. Can you manage with one? A difficult concept for many of us to live with is the idea of only having one pair of jeans or one black dress. For many people, it simply isn’t possible, but if you take a leaf from minimalists’ book, you may find that this is a great way of living. Only having one pair of jeans or one pair of shorts can make your life a lot easier when licking out clothes in the morning, and you will gain so much space back from it. If you are struggling with the idea, challenge yourself to only wear one pair of jeans for the entire month. Of course, you can switch between your other clothes like shorts and dresses, but whenever you come to wear jeans make sure you wear the same pair. If you find this super easy, you have an excuse to throw away lots of trousers! Trends are the bane of many lives because they come and go so fleetingly that we hardly get the chance to warts them before they are out of fashion once more. If you find that you always seem to buy trending items, you need to stop yourself doing so in the future. These items end up clogging up your wardrobe space and never get worn. 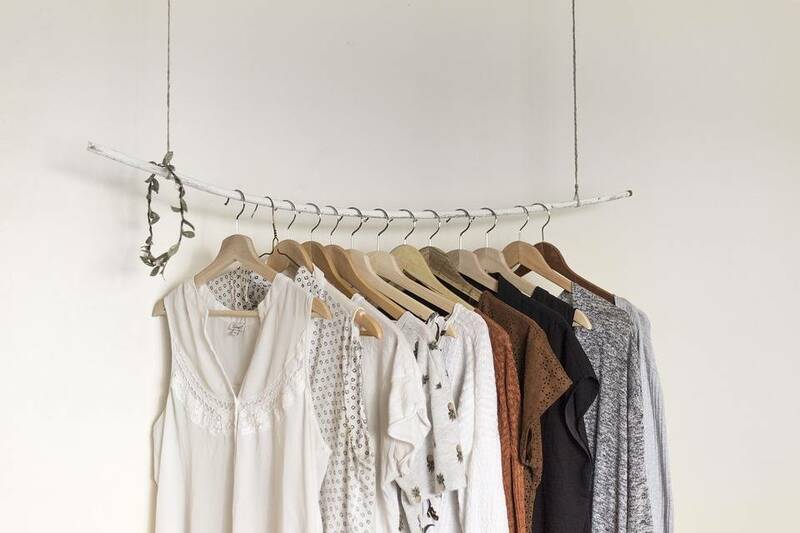 If you are struggling with knowing where to start on your wardrobe, one thing you can do is take a look in the space and pick a section, like dresses, and then pick a number. If you chose the number 5, you have to get rid of 5 items from this section and give the, to charity. This might be difficult at first but it will make your clearing out process much more manageable, and less stressful for your overall. Previous Post: « Can You Really Stop Snoring With Breathe Right?